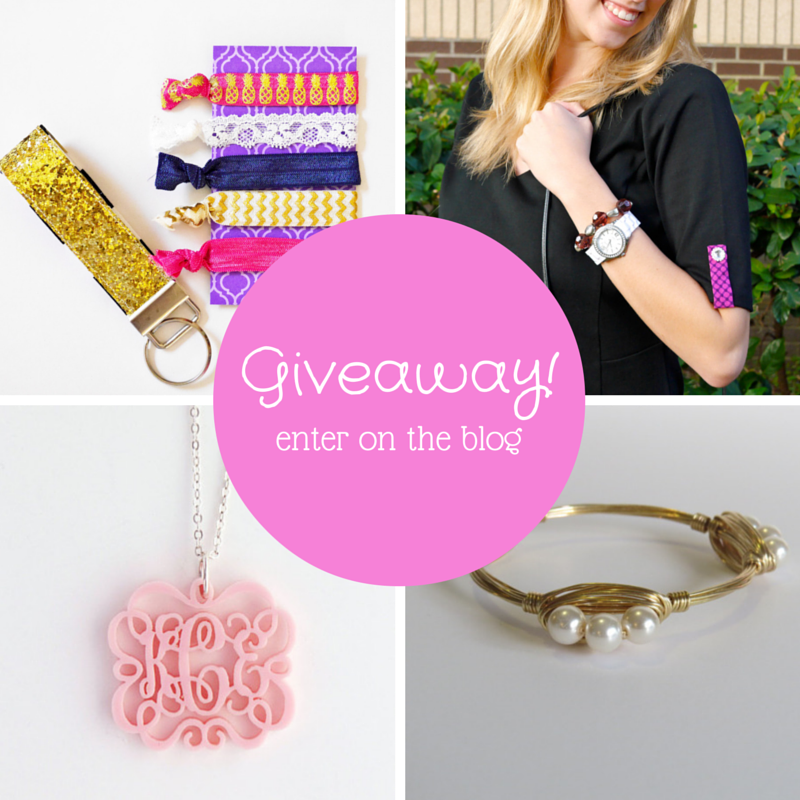 Sugar Spice and Sparkle Giveaway | Monograms, Bracelets, Glitter, and more! I am so excited to announce Sugar Spice and Sparkle's first Giveaway! You should be excited too because I have rounded up some absolutely amazing prizes! Keep reading to find out more about the prizes and how to enter. Designed to Shine is a very successful shop specializing in personalized jewelry. Check out their shop here, you will be amazed! Every one of their products is "creative and classy, affordable and awesome". 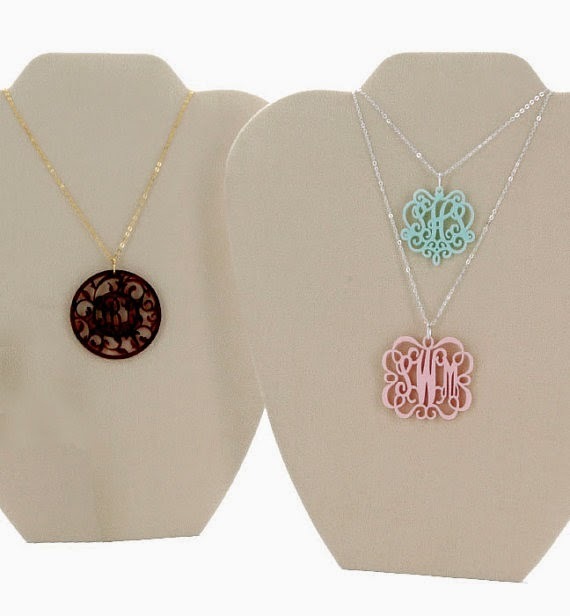 The giveaway winner will receive a GORGEOUS monogram necklace! Isn't it perfect? Lilly and Ivory makes beautiful bracelets and necklaces. They are perfectly on trend and I want every one! The winner of the giveaway will receive these two beautiful bracelets! P.S. Click here to check out their bracelet stacks - they are to die for! Your arm party with thank you. If you haven't heard about Poppy Clips then you are missing out! Their innovative product is changing the world of accessories! 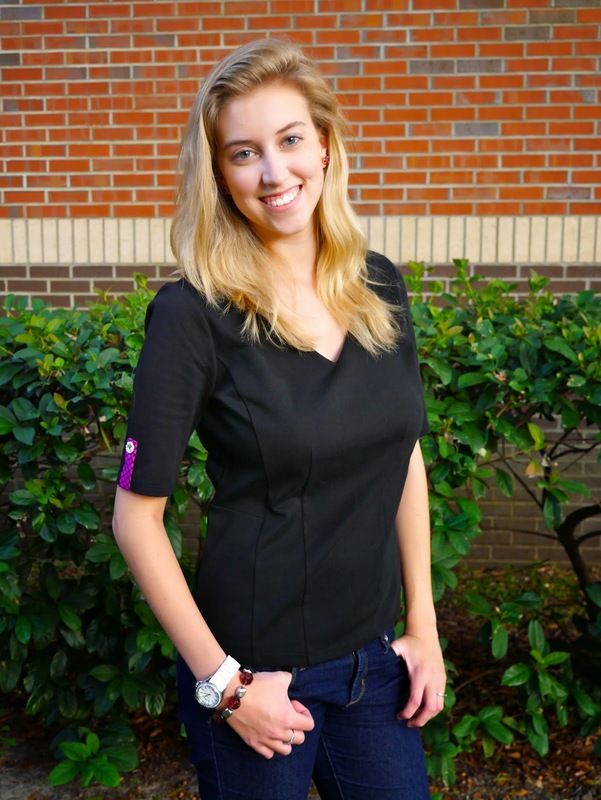 A set of Poppy Clips can completely transform your outfit! They are magnetic and so easy to put on. Clip them on your shirt, pants, shoes, bag, scarf - anywhere really. They're sure to brighten up your outfit and your day! Find them here. The giveaway winner will be receiving the 'Be Brilliant' set, styled here by me! Well if you are reading this then you have heard of Sugar Spice and Sparkle! I have a variety of items in my shop but the latest and greatest all involve GLITTER! The giveaway winner will get their choice of hair tie set and either gold or pink glitter key fob. Check out my other items here. During the giveaway (through 11/11) you can use code GIVEAWAY for a special discount in my shop! Bonus! So now that you are all excited about these prizes you probably want to know how to enter, right? Well all you have to do is follow the instructions below! Designed To Shine prize will be one acrylic chandelier monogram necklace in the small size. Lilly and Ivory prize will be the two bracelets pictured. Poppy Clips will be one set of the pictured set. Sugar Spice and Sparkle prize will be one set of 5 hair ties and one glitter key fob (pink or gold). Winner will be contacted through email and given instructions for claiming prizes. What a great post! Apart from the really useful tips, it's just really fun ! Thank you so much for your tips!! visit my site - http://www.magnetmegastore.com/. We offer a huge range of magnetic bracelets, copper bracelets, sports magnetic bracelets and magnetic therapy items. Also other magnetic jewelry and health products.